In terms of design, the Z 7 will look instantly familiar to Nikon users. 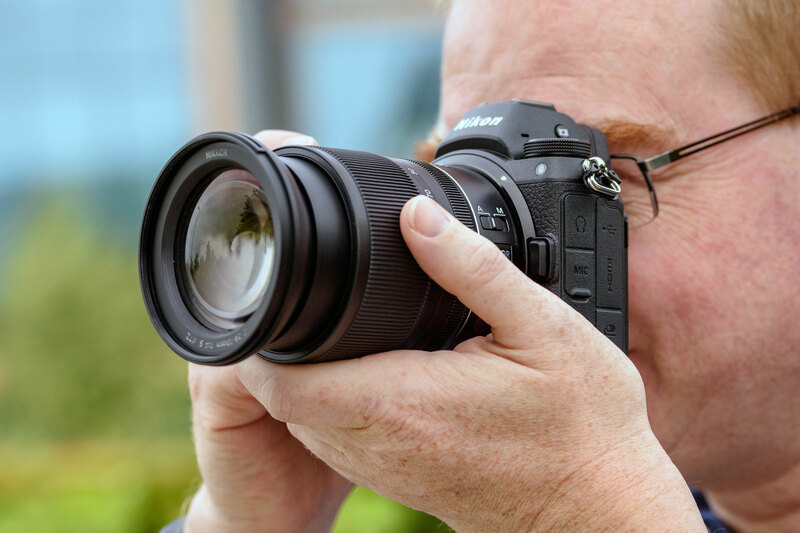 The control setup is reminiscent of the firm’s high-end DSLRs, with twin electronic dials and a joystick for moving the focus point, along with familiar buttons for ISO, exposure compensation and AF-ON. The firm has clearly thought hard about how to position these controls around the smaller body, as they’re all perfectly positioned within easy reach of your forefinger or thumb. 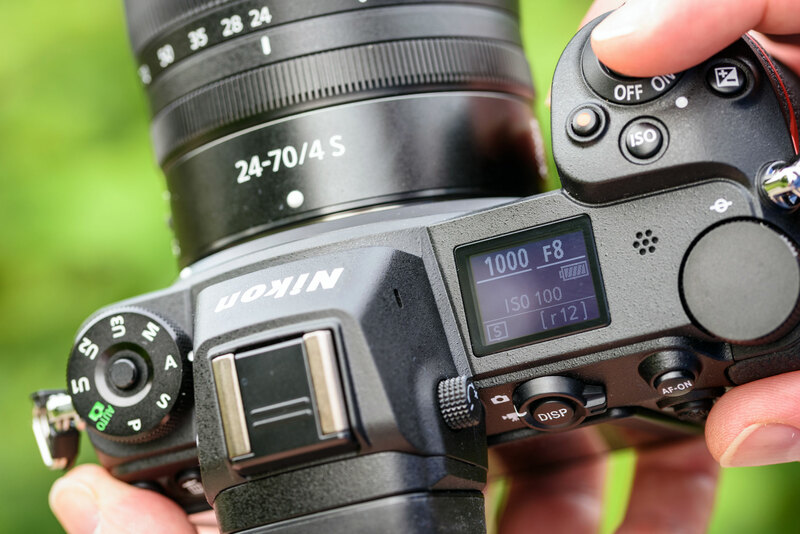 The dials and buttons are every bit as good as we’re used to on Nikon’s high-end DSLRs, too. As a result, new owners will be able to pick up the camera and make the switch to mirrorless pretty much seamlessly. Unlike Sony, Nikon hasn’t been terrified of making the body large enough to be comfortable to use, so has added a really good-sized handgrip that feels like it should provide decent purchase even when you’re using heavy lenses. This doesn’t add too much extra bulk either; the Z 7 is 7mm wider and 5mm taller than the A7R III, meaning it’s still substantially more compact than even the smallest full-frame DSLR. 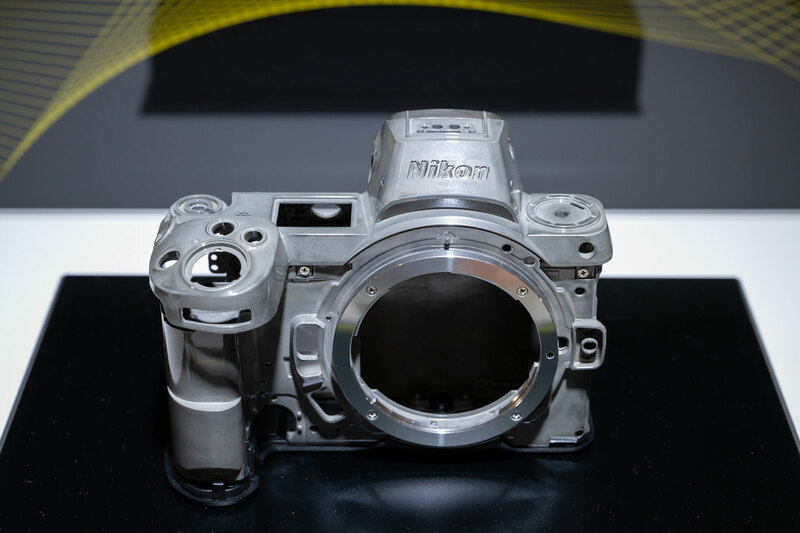 Build quality is everything we’ve come to expect from Nikon; the body employs a robust magnesium alloy shell that’s made up of front, back and top covers, and is claimed to be weather-sealed to the same standard as the D850. The Z 7’s default control setup is perfectly logical, giving fingertip access to all of the most important settings that you might wish to change while looking through the viewfinder. However the camera is also highly customisable, so you can reconfigure it to match your personal preferences. For example it’s possible to tailor the functions of the dials, or reassign the lens’s manual focus ring to control aperture or exposure compensation. Many of the buttons can be reconfigured too, including two useful function buttons on the front beside the lens mount. What’s more, the camera can be reconfigured independently for stills and video shooting. In a first for Nikon, the onscreen i-menu can also be customized; it’s also touch-sensitive. 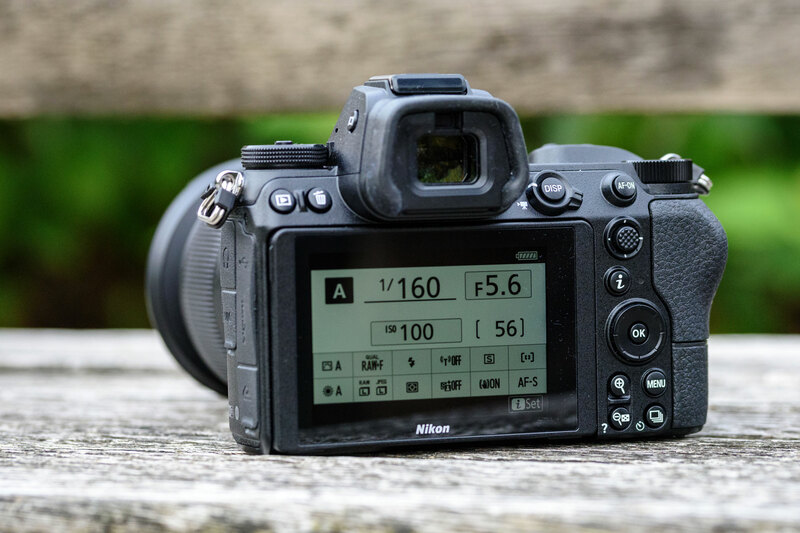 In fact the touchscreen is superbly integrated into the camera’s controls, as you can use it to change most settings and menu options, along with specifying the focus area firing the shutter when shooting with the LCD. One thing you can’t do is use the touchscreen to move the AF area when shooting with the viewfinder, but the joystick works so well that I’m not sure why you’d want to. Double tapping the screen in playback mode jumps to a 100% magnified view, which is useful for checking sharpness. Overall this makes the Z 7 one of the best-handling mirrorless cameras on the market, and a clear step above the Sony Alpha 7R III. When it comes to composing your images, the Z 7 includes a stunning 3.6-million-dot EVF with a huge 0.8x magnification, and which displays comprehensive shooting information against a black background on strips above and below the preview image. With high-quality optics that give a clear view right into the corner, even if you wear glasses, it’s one of the largest and clearest I’ve used. Indeed it’s noticeably better than even the A7R III’s excellent finder in a side-by-side comparison. What’s more, the EVF eyepiece protrudes far enough back that you won’t get nose marks on the screen. As expected the finder does a good job of previewing how images will come out, not just in terms of composition but also exposure, white balance and colour. Unlike the optical viewfinder of a DSLR, it can also show a truly accurate depth of field preview at both large and small apertures. A range of additional information can be displayed too, including a live histogram and electronic level display. Unfortunately, though, you can’t view both at the same time, and the huge level display is really intrusive on composition. It’s one of the few points Nikon needs to improve. On the back you’ll find a superb high-resolution 2.1M-dot touchscreen that can tilt 90° up and 45° down. It’s impressively slim, adding little to the depth of the camera, but like all tilt-only units it becomes useless the moment you rotate the camera to portrait format. In this respect it’s inferior to either the fully-articulated screen employed by on the EOS R, or the superb dual-hinged design that Fujifilm uses on its high-end cameras such as the X-T3. A proximity sensor above the viewfinder can be used to automatically switch between the EVF and LCD. Annoyingly it’s not disabled when the screen is tilted, but it’s not overly-sensitive so it won’t usually turn off the LCD during waist-level shooting. If you normally shoot with the viewfinder, it’s possible to set the LCD to show a clearly-laid out status display incorporating the i menu either as black text on a white background, or vice versa. One significant improvement over Sony A7 models is that the viewfinder sensor doesn’t keep the camera awake indefinitely, meaning the battery is much less likely to run itself down to zero when the camera is in your bag. 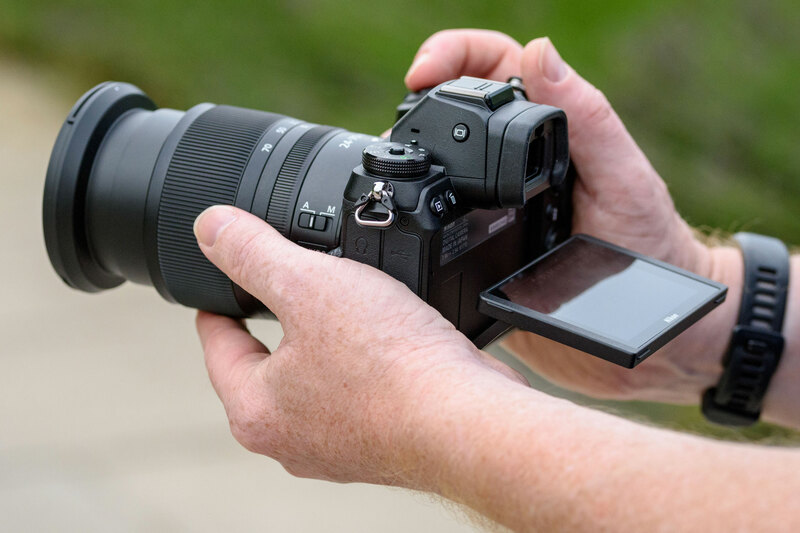 There’s also an SLR-like top-plate screen, which shows key shooting info – shutter speed, aperture, ISO, battery power, drive mode and the remaining capacity of the memory card – using an OLED display that adapts to the ambient light conditions.